A series of points are plotted on a unit radius sphere with its center at the origin of the coordinate system, see image. 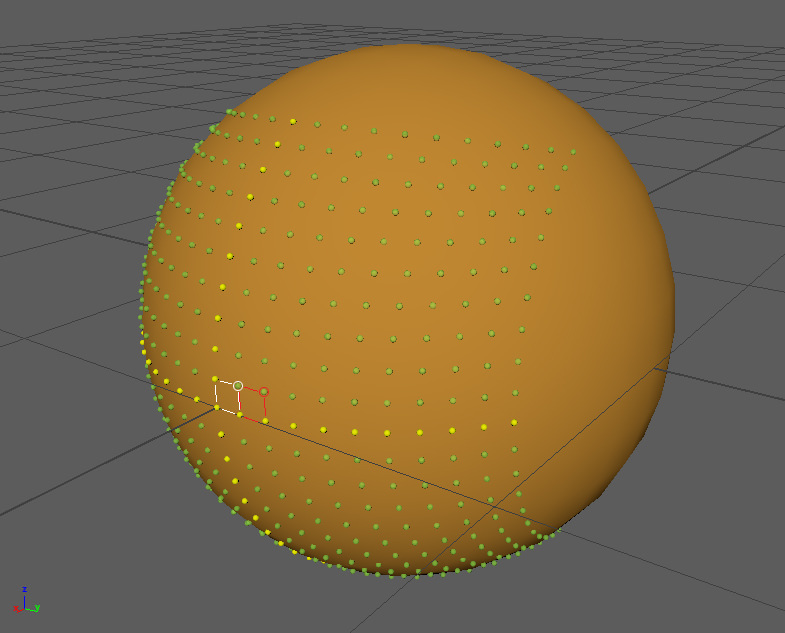 Points on XY and XZ planes (marked yellow) are created so that horizontal points coordinates in spherical system (r,fi,theta) are (1, n*A, 0) and vertical are (1, 0, m*A), where A is some small angle and n & m are horizontal and vertical indexes. After that, the point circled in white is created, so that all "sides" of a square-ish shape, represented by white lines, are the same and, say, equal L.
Then the next point is built, circled in red, with all distances represented by red lines being L.
And so on, point by point, row by row, resulting with the distribution you see in the image. This is done by solving proper equations for each new point numerically. 1. Is this type of distribution well known? If so, does it have a name? 2. Is there (a way to come up with) an analytical formula for this distribution? 3. You can view this distribution as made of curved "rows" and "columns". What is the fastest (preferably analytical) way to "map" a given point on a sphere (1, fi, theta), shown as a green spot in the image, to its respective "row" and "column", shown as darker areas? Last edited by skipjack; August 26th, 2018 at 02:45 PM. Why do you leave parts of the sphere's surface untouched? Because it doesn't have to cover the whole sphere, only the area shown.